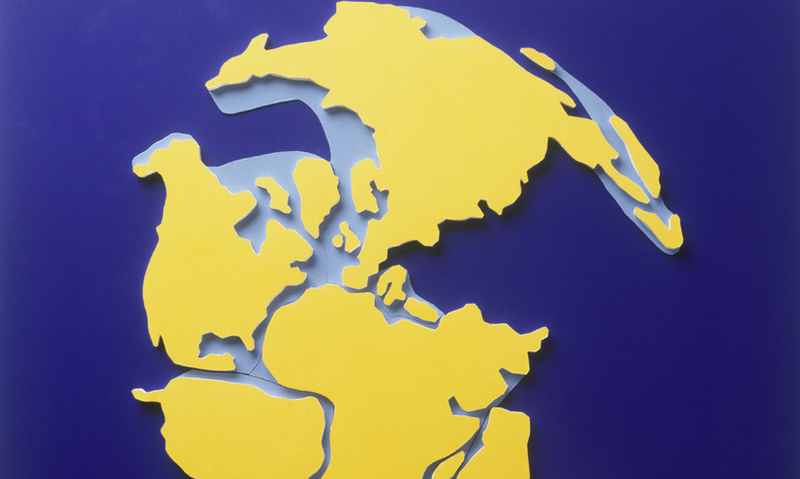 Explore the theory of Continental Drift: have the continents always been in the same place? And are they stationary now? 250 million years ago, most of the world's land mass was joined together. Alfred Wegener first published the idea that landmasses were slowly moving apart and there once existed a "supercontinent." Continents are part of the tectonic plates that make up the Earth's crust, and they move on average 2cm each year. Wegener observed that South America and Africa seemed to fit together like a jigsaw, and matching fossils have been found on both continents. 250 million years ago, you could travel from South America to Africa in a single step. At this time, most of the world's land mass was joined together, forming a supercontinent – Pangaea.